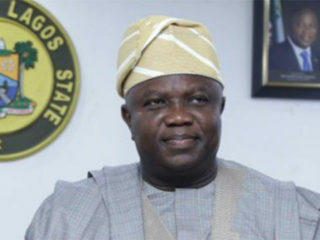 Tempers flared among Lagos State gubernatorial candidates during the debate organised by Lagos West Diocese of the Anglican Communion on Tuesday when they shared contrary opinions on corruption, indigeneship and other critical issues affecting the state. In an attempt to impress the audience, each contender tried to outwit the other to get the support of voters in the March 2 gubernatorial debate. 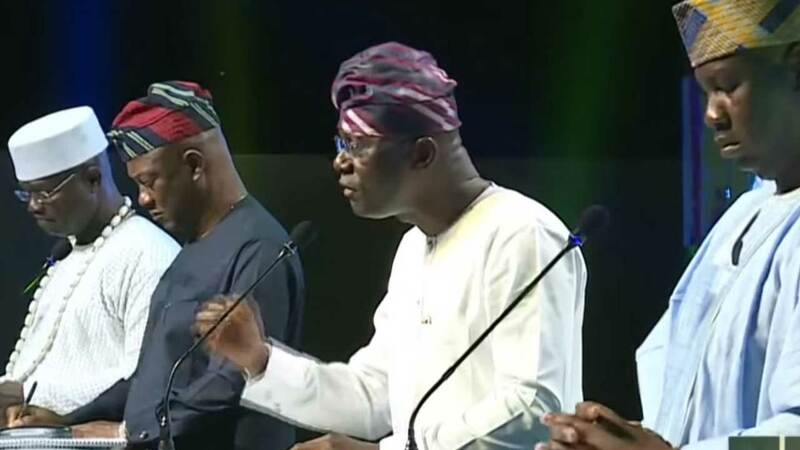 The candidates were Mr. Babajide Sanwo-Olu of ruling All Progressives Congress, (APC), Jimi Agbaje of People’s Democratic Party, (PDP), Owolabi Salis of Alliance for Democracy (AD), Mr. Babatunde Gbadamosi of Action Democratic Party (ADP), and Muyiwa Fafowora of African Democratic Congress (ADC). Others were Advanced Nigeria Democratic Party (ANDP), Segun Musa, National Conscience Party (NCP), Funsho Awe, Alliance National Party (ANP), Barrister Ladipo Johnson; Abundant Renewal Party (ANRP), Arch. Abiodun Dabiri, Young Progressive Party (YPP), Adebisi Ogunsanya, Labour Party (LP), Olurotimi Olulana, and Social Democratic Party (SDP), Adetokunbo Pearce. The debate, which was held at the Archbishop Vining Memorial Church Cathedral, G.R.A, Ikeja, became heated when candidates were asked how they intended to tackle corruption in the state. In his contribution, Agbaje said the only way the state government could show transparency and accountability is if it domesticates the Freedom of Information Act. He said anything besides that would only be cosmetic and not holistic. 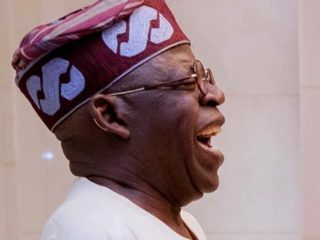 Awamaridi said if he wins, he would establish an anti-corruption agency to try corrupt officials while Gbadamosi alleged that most corrupt practices in the government were perpetuated by poorly paid civil servants. He promised increased workers’ pay and putting mechanisms in place to stop leakages if elected as governor. Also speaking, Fafowora said any candidate whose campaign was being sponsored by the state government or by contractors is corrupt. According to him, such a person should not be suggesting ways to end corruption. 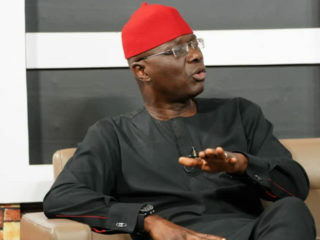 But on the contrary, APC standard-bearer, Sanwo-Olu, knocked his opponents, saying corruption is the consequence of the failure of parents to raise their children properly. He said no one should blame government if parents failed to discipline their children. He insisted that disciplined children grow into wholesome adults who would not engage in corrupt practices in their workplace or businesses. He also advised citizens to report any government official caught collecting bribes or engaging in corrupt practices. Another topic that generated tension among the candidates was the issue of indigeneship. While some of them advocated that the original indigenes of the state deserve preferential treatment over non-indigenes, others argued that anyone born in Lagos is automatically becomes an indigene and should be treated equally. Pearse, Gbadamosi and Agbaje argued alike, saying that migrants to Lagos have contributed in making the state the mega city that it is today. 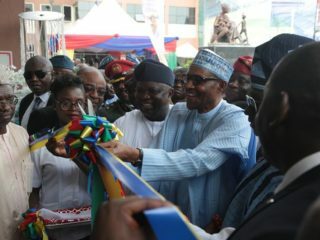 They, however, said that despite advocating for equality, the rights of indigenes should not be trampled upon and they should also be given a special quota especially in the area of education. But Faforwa cautioned against using the issue of indigeneship to score political points, saying that migrants have never posed a threat to anyone. He insisted that even though there are indigenes, everyone should be treated equally.